Can a Skin Injury Turn into Cancer? Yes, but What Kind? Yes, a skin injury can indeed develop into cancer, says a dermatologist. There are three main types of skin cancer: melanoma, squamous cell carcinoma and basal cell carcinoma. For this article I consulted with Dr. Rebecca Tung, MD, director of the dermatology division at Loyola University Health System, Chicago. I asked her if an injury to the skin can lead to cancer. How long does it take for a scar to morph into cancer? “Typical malignant change may occur over decades in these cases,” says Dr. Tung. “Signs that may alert you that your scar is no longer ‘just a scar’ include pain, redness, bleeding or skin breakdown. “This type of SCC is rare and was initially coined as a ‘Marjolin’s ulcer’ after the surgeon who first described the condition. “While most non-melanoma skin cancers (BCCs and SCCs) result from sun or ultraviolet exposure, research shows that long-term inflammation and scar formation can also create cancerous change in the skin,” says Dr. Tung. “Your dermatologist can confirm the diagnosis of skin cancer by performing a skin biopsy. 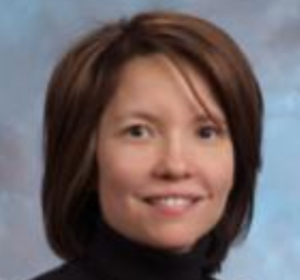 Dr. Tung’s specialties include general dermatology with skin cancer surveillance, moles, melanoma, surgery (Mohs micrographic, laser, skin cancer reconstruction) and cosmetic dermatology. Small Moles Growing Together: Melanoma or Benign? 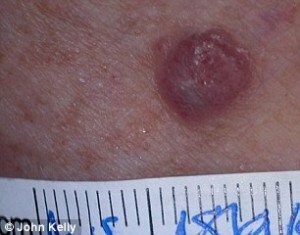 Scratch Mole, It Bleeds: Melanoma? How Common Is a Flesh Colored Melanoma?